September 5th is celebrated as Teachers Day in India. careers & make us what we are today . last bite. 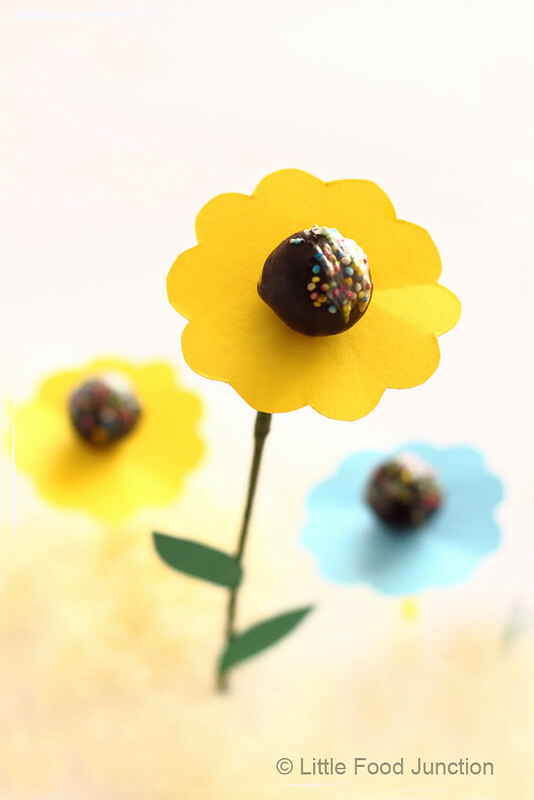 These edible flowers on stick are quick to make. the choice is yours) 2 tsp nutella or any other chocolate spread . 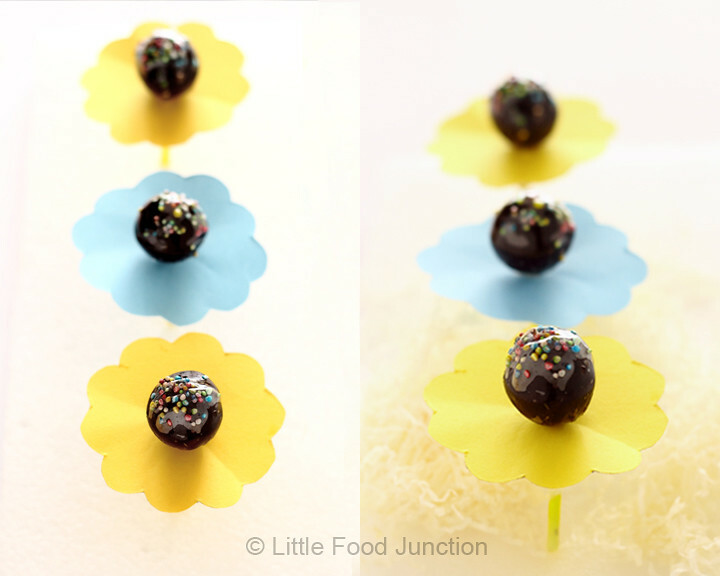 sprinkles, some lollipop sticks or skewers . require less while wholegrain / low fat cookies need a bit more. stick in it & skew in the prepared truffle. Refrigerate for a min . & refrigerate for 5-6 mins or till chocolate sets. Cling wrap . florist tape & stick a few paper leaves. just cling wrap & proceed further . If you have still not joined me on Facebook , this is especially for you. Live Mint ( click to read the e- paper) Sep 1st , 2012 .
but to my teacher for living well." Very nice Quote to express thanks for sharing it.Happy teachers Day to all teachers who shared their leaning . Beautiful !!! Love the idea !!! Pl could you suggest something to replace dates- my kids are allergic to it . Jessy use crumbled cake or more crushed cookies as a replacement . 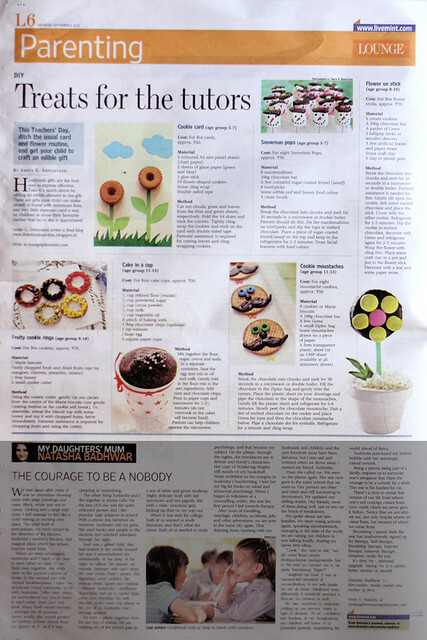 Loved the Truffle card and cookie card in the treat for tutors article, Smita. Very cute. 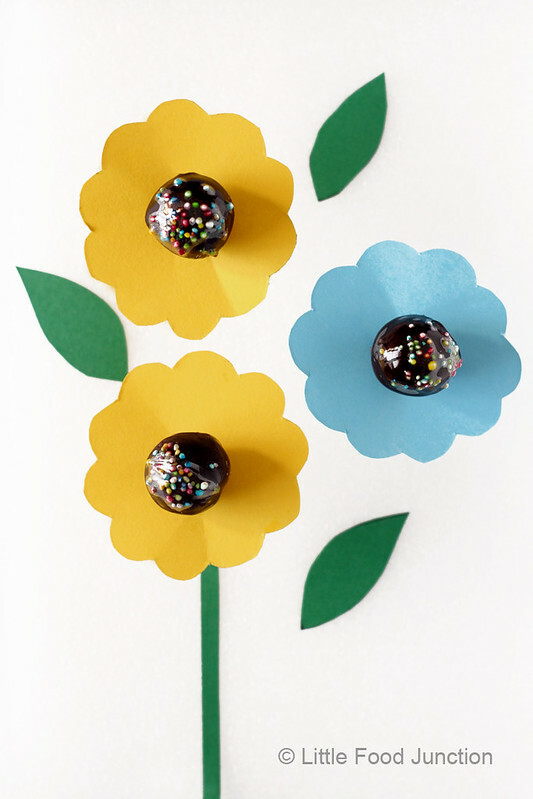 How pretty , love the concept & execution of edible gifts . Congrats for the article in HT too.